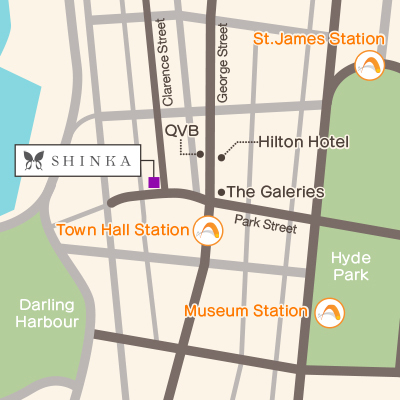 Mayu has been part of the SHINKA Clarence St family since 2011. As a store manager, she is well respected by her team and strives to offer a comfortable environment to both customers and staff. She is exceptionally skilled in all aspects of hairdressing, including cuts, perms, colouring, and offering professionl advice on styles which enhances each customer's natural contour. Due to her recommendations, Mayu has built up an excellent reputation amongst her clients. Taka has a lot of experience in Tokyo. With his wide range of abilities, he can create lovely female style and also men's business style cut. He catches up the trend and suggests suitable style for you. Keiko has 10 years of working experience in Tokyo and is a top stylist with some celebrities as her customers. She gained a Diploma from a beautician school in Sydney, and can confidently offer skills she has built through local hair salons. Being a mother of a child, styles you can reproduce beautifully without much time and maintenance is especially her strong point. Aya has amazing skills and has been working for 10 years in beauty field. One of her great skill is Make up. She was a Make up instructor in Japan. She makes sure you leave SHINKA with beautiful look and always gives you nice smile and kindness service. 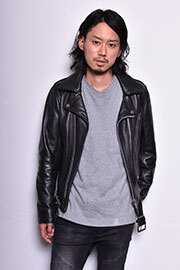 Jun began his career in the center of Tokyo's fashion scene Harajuku, he worked there for 10 years and with his experience he gained in Tokyo he then moved to Los Angeles, Australia and expanded his career as a hair stylist and was the Director of the salons he worked at. He is well known for his edgy styles for short hair and well as soft and airy perms. His creative sense of style can create a style to suit every individual and their lifestyles. He is loved by many customers and is a renowned skilled hair stylist. Yuka has gained quality experience from Japan, New York and now from Australia. She is a skilled colourist who has an abundant of knowledge in the chemicals used and is able to recommend the best product and colour for every individual. Yuka is particularly known for her skills in creating highlights and balayage using not just one, but a whole range of colours. Having the Level 2 HABIA International Qualification, Yuka displays a high standard in her work and has developed her skills to gain trust from her customers. Mitsuki has taken part in many competitions and has won many awards during her school years. She demonstrates her ability through her well considered manner and supports the other hair stylists in a professional way. Mitsuki looks forward to meeting all her customers here. Born and raised in Sydney Anna makes use of both her English and Japanese to ensure she can communicate to every customer to understand there needs to ensure every customer can leave with a smile she welcomes everyone with her kind and thoughtful consideration. Anna, with a warm and bright smile, looks forward to meeting and interacting with our wonderful customers. Sena welcomes our customers with her bright and bubbly personality. She creates a welcoming atmosphere and helps support both the hair stylist and the customer throughout their time here. She looks forward to meeting you all. Yuri is here to welcome all our customers with a polite and friendly attitude. She creates a relaxing environment for all, with a smooth transition for the best experience for each individual person.